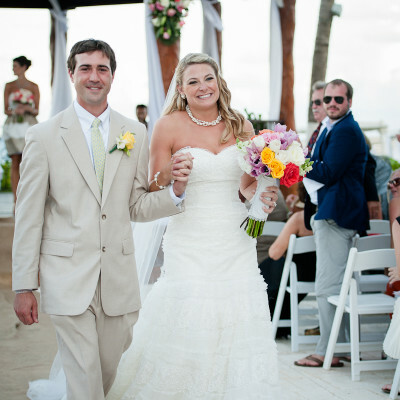 Sarah and Dustin met the first week of college at a local Mexican restaurant in their college town. 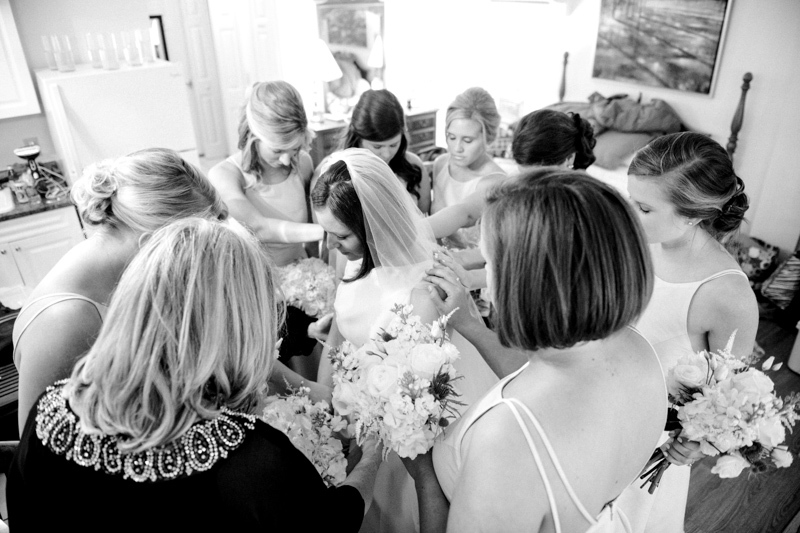 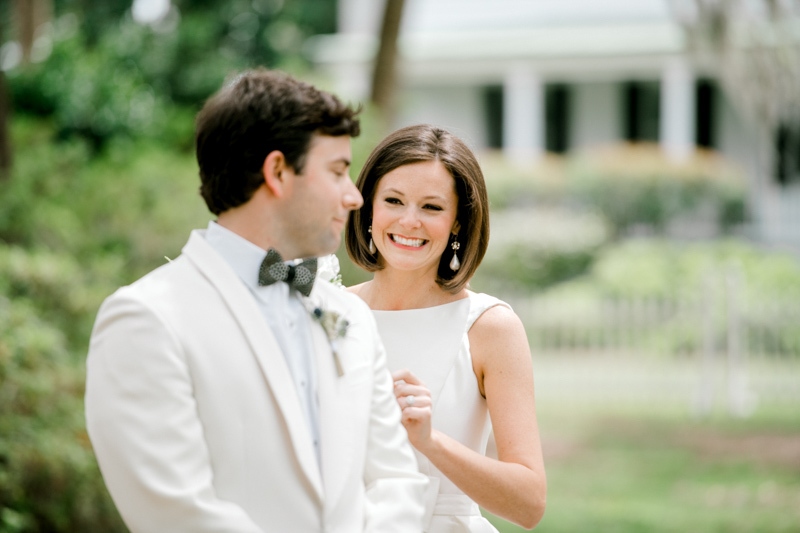 She was introduced to Dustin by her best friend (and Maid of Honor!) 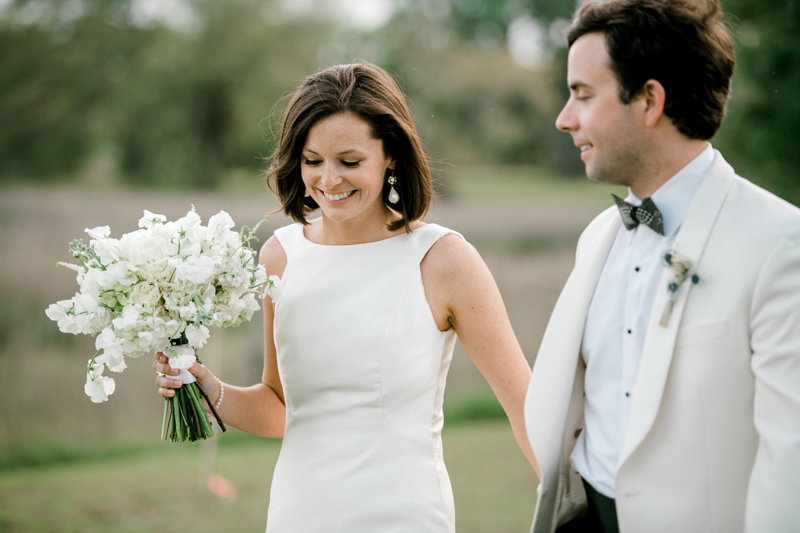 and a month after meeting, Dustin asked Sarah to be his girlfriend – they have been together ever since! 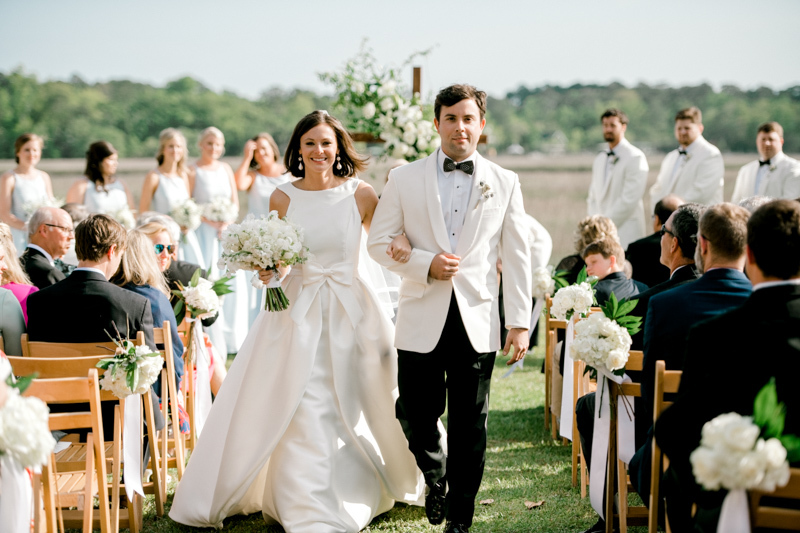 He planned a perfect proposal at Edisto Beach right across from her parents’ beach house. 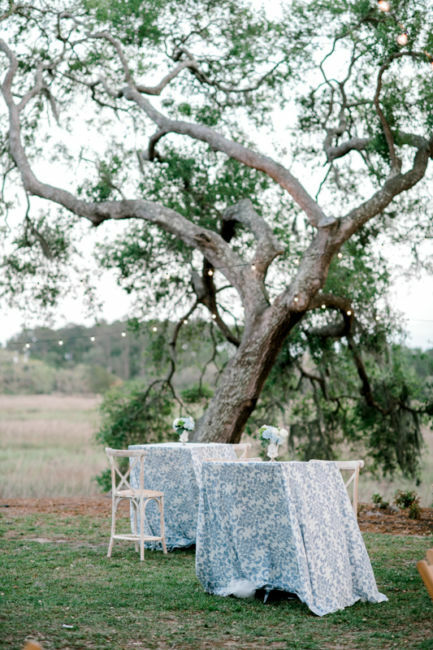 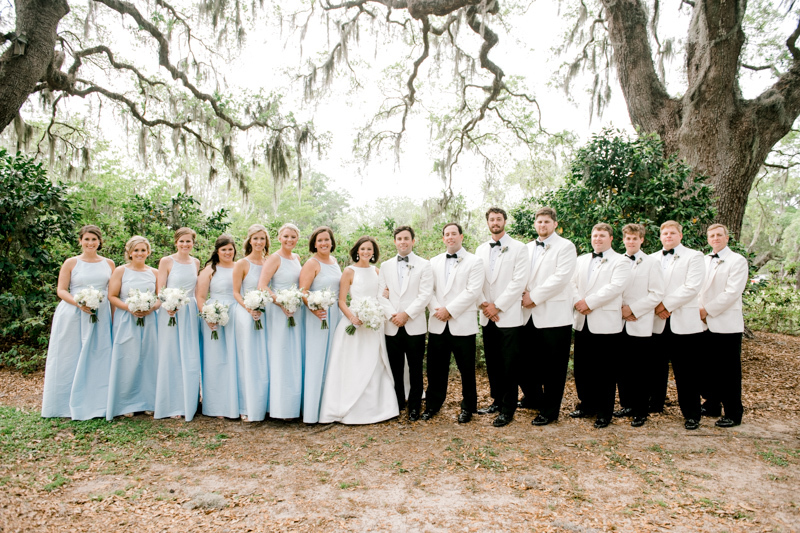 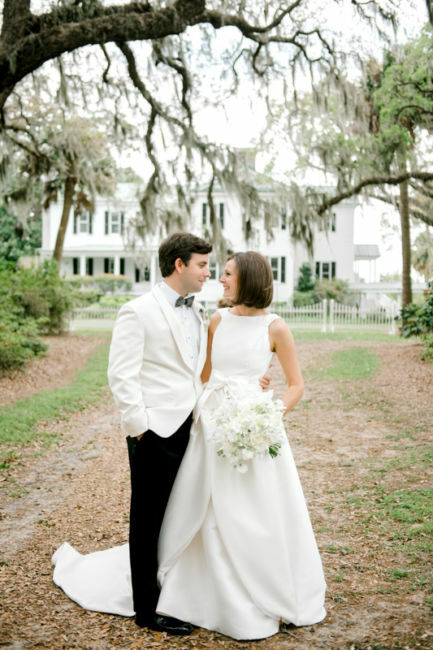 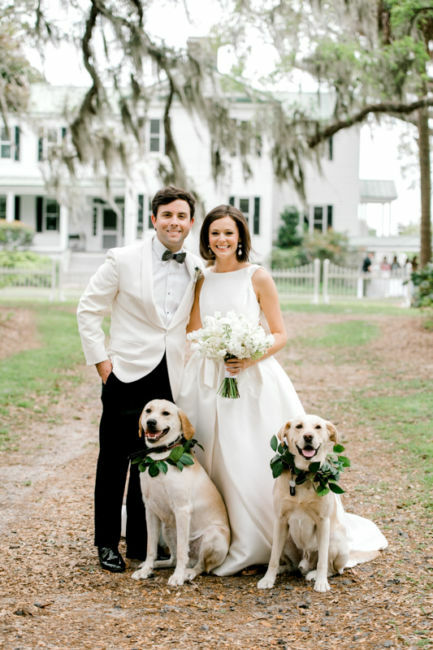 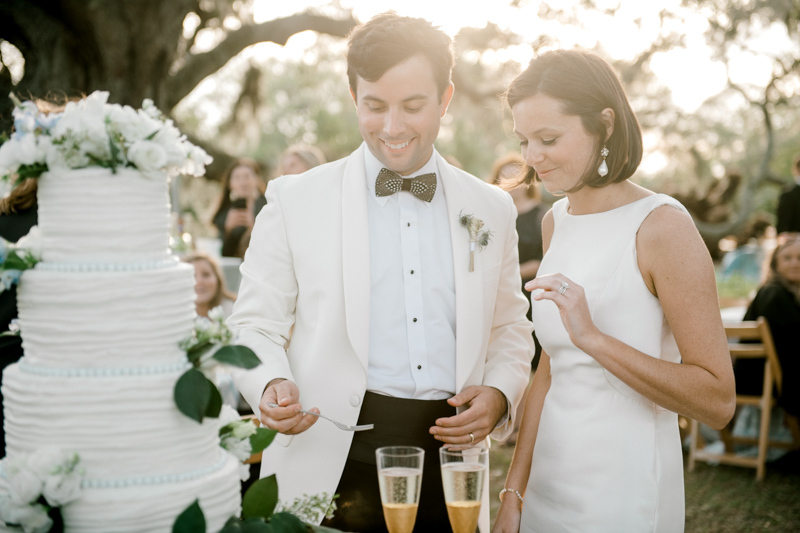 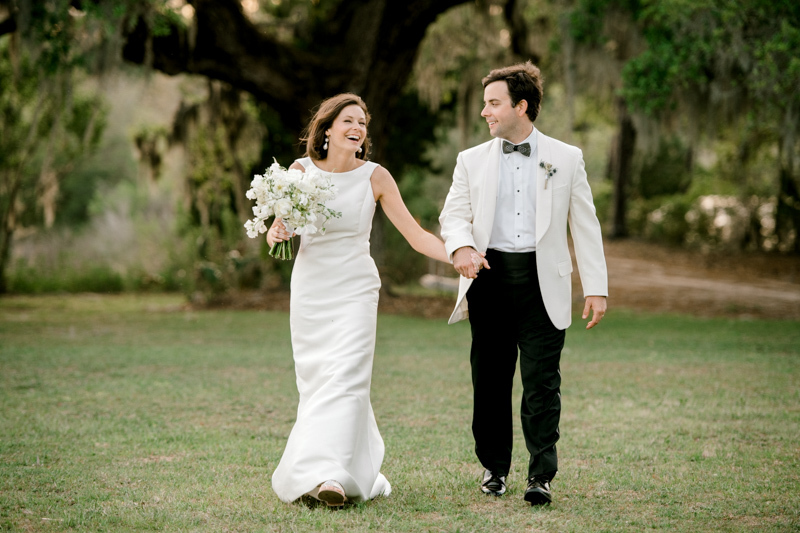 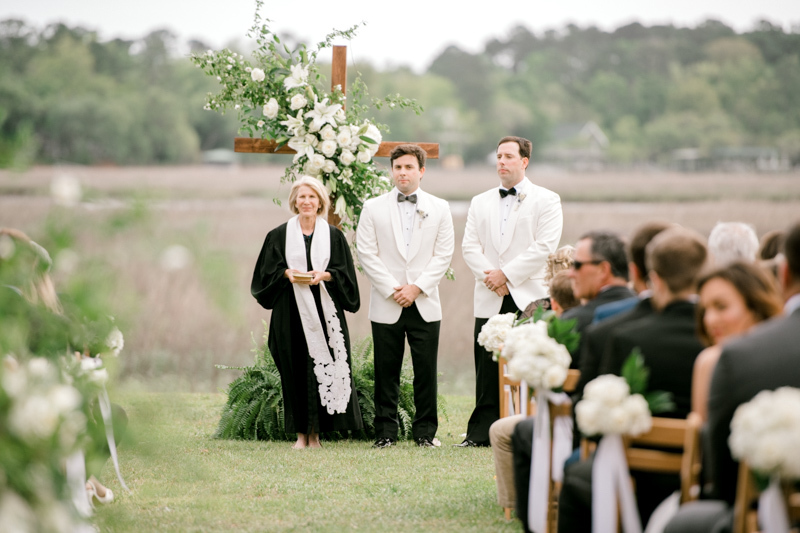 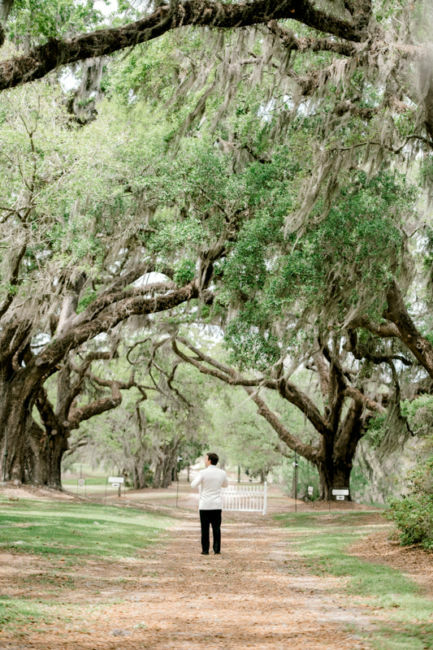 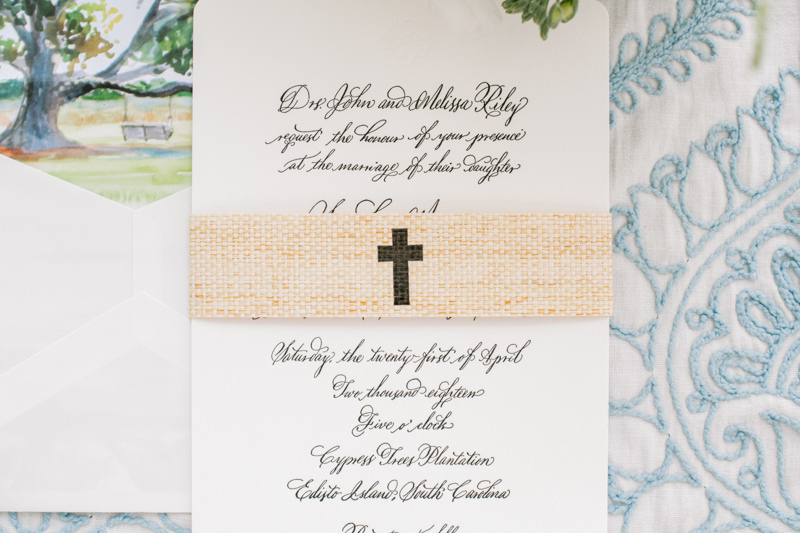 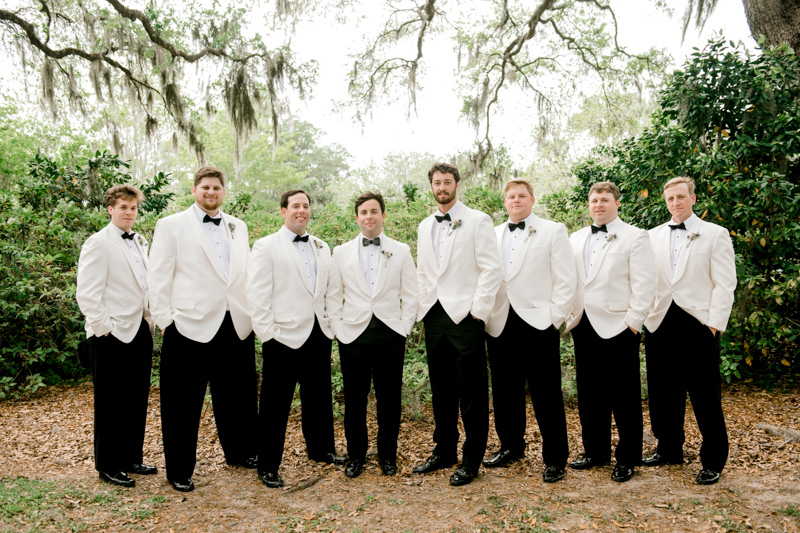 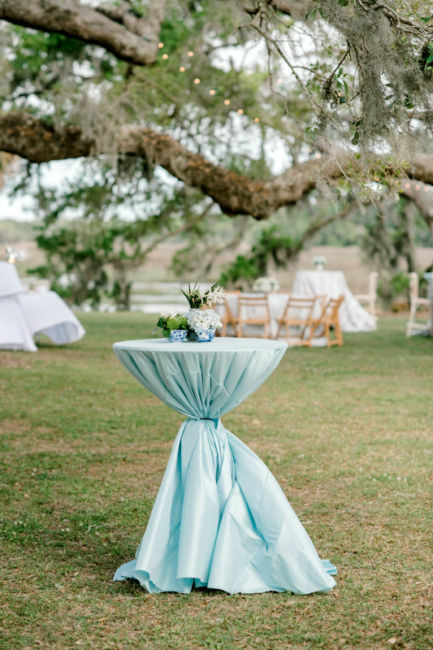 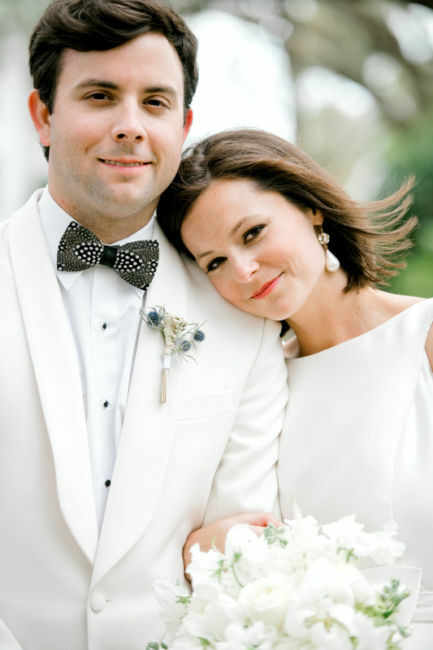 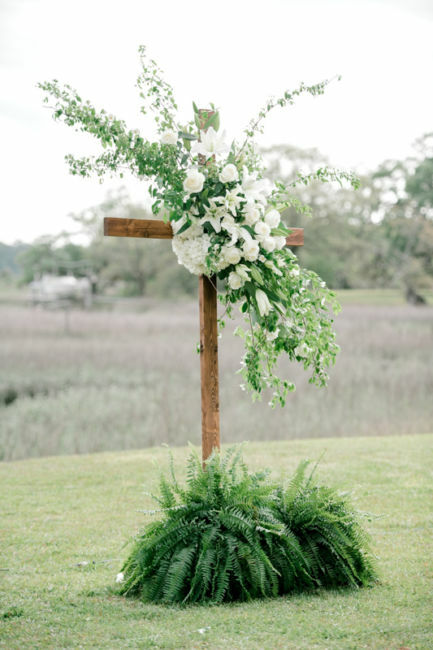 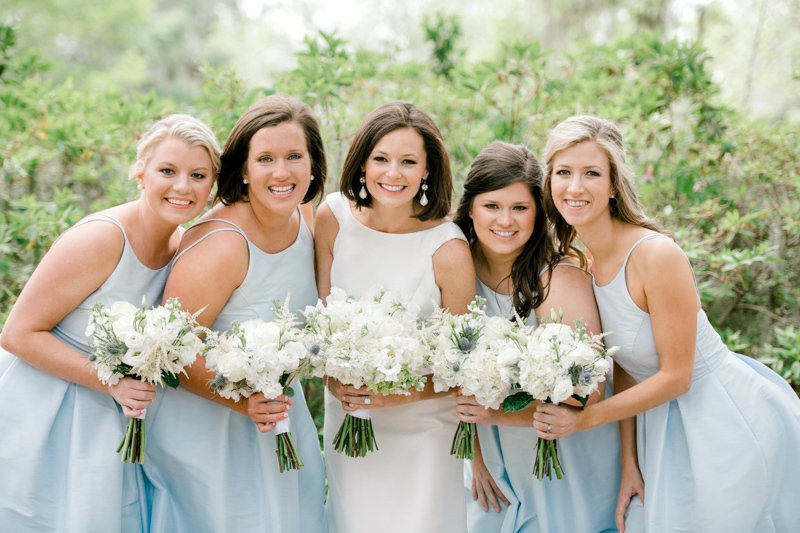 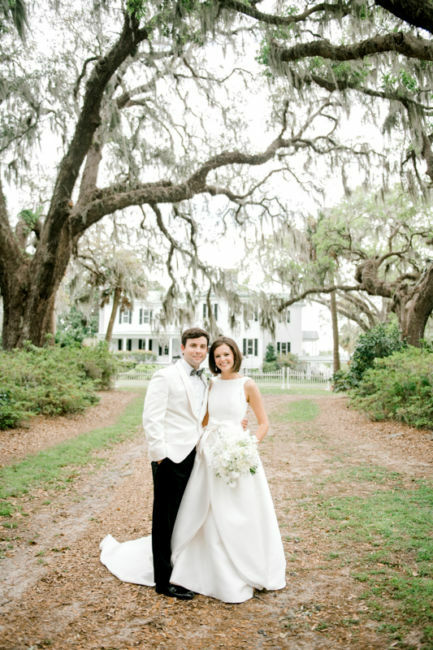 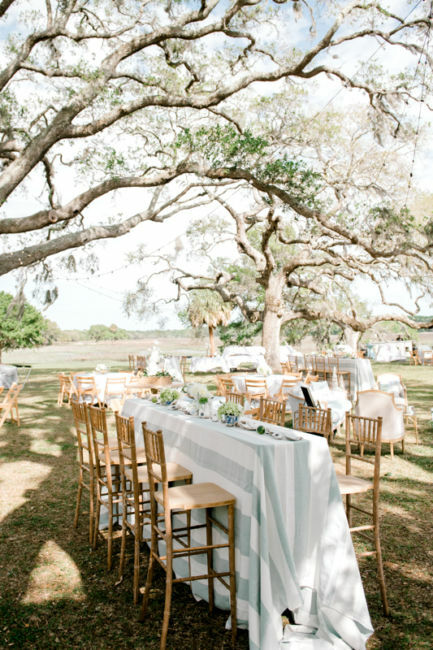 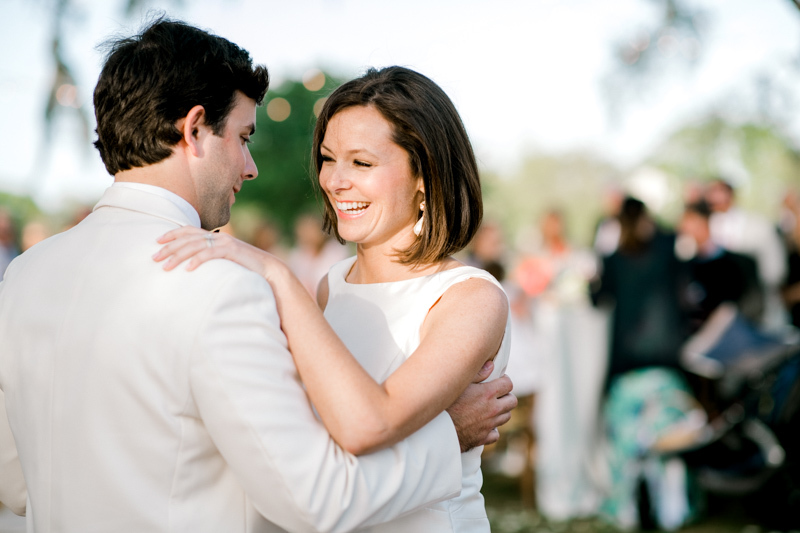 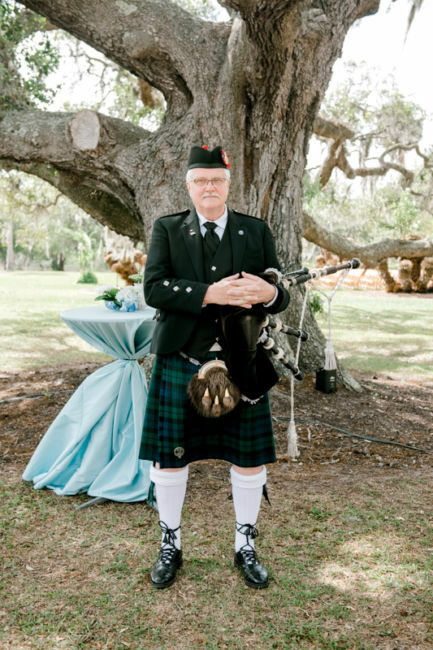 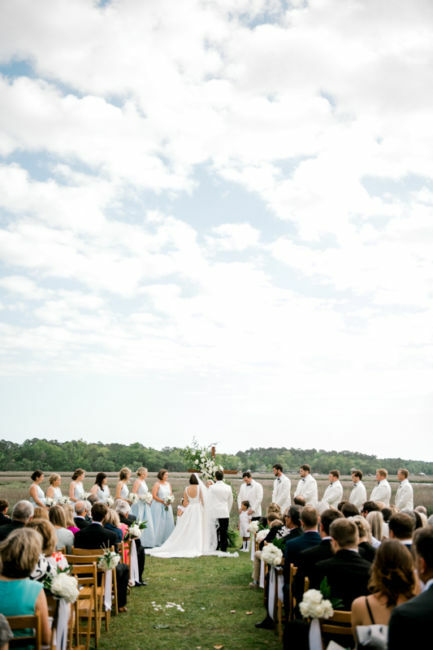 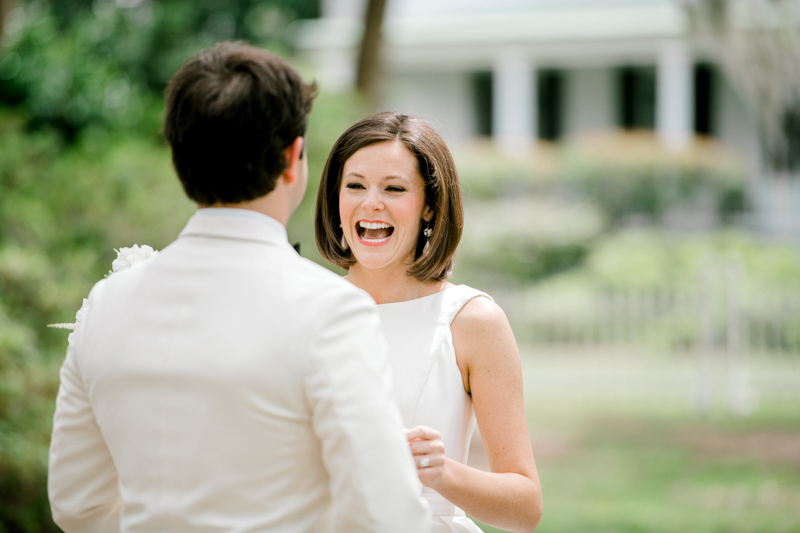 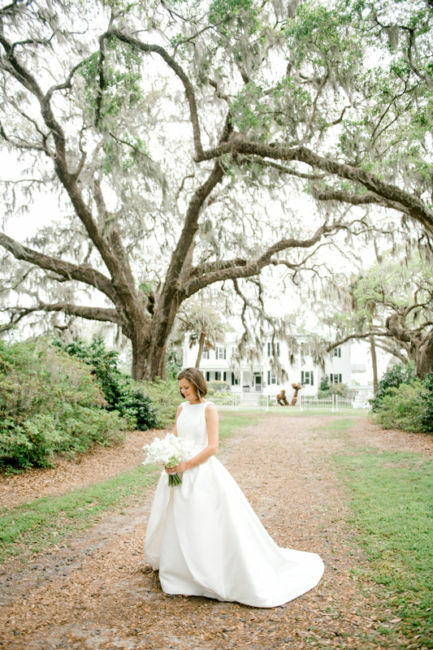 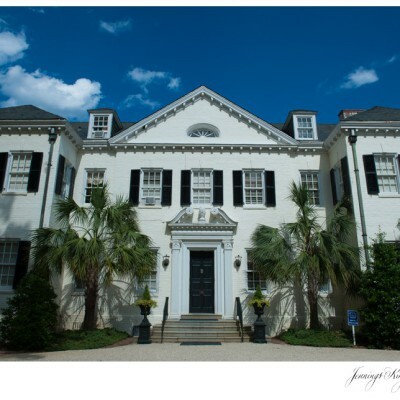 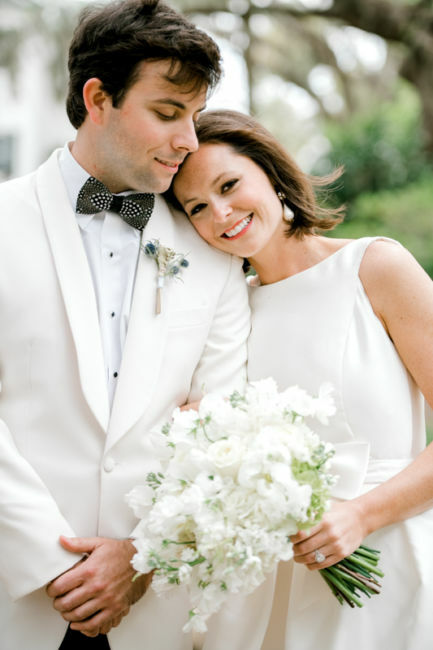 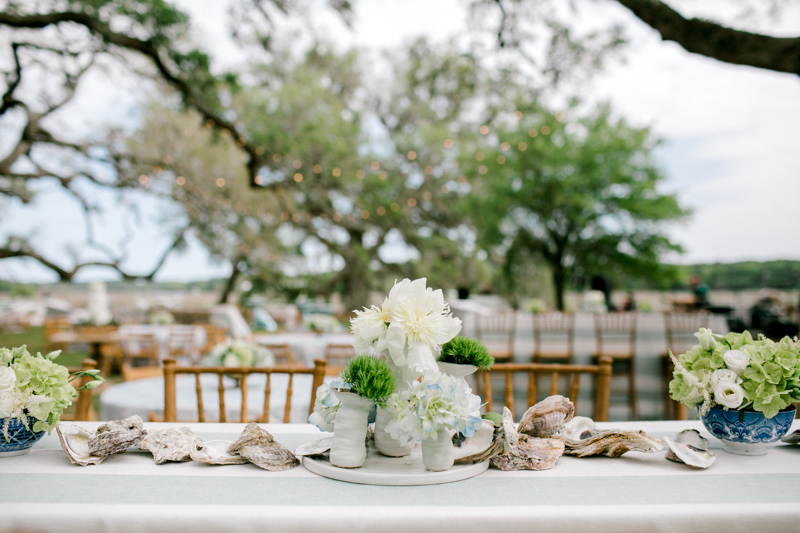 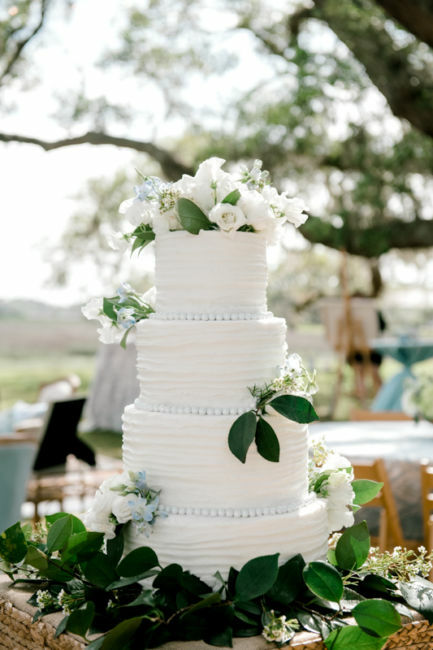 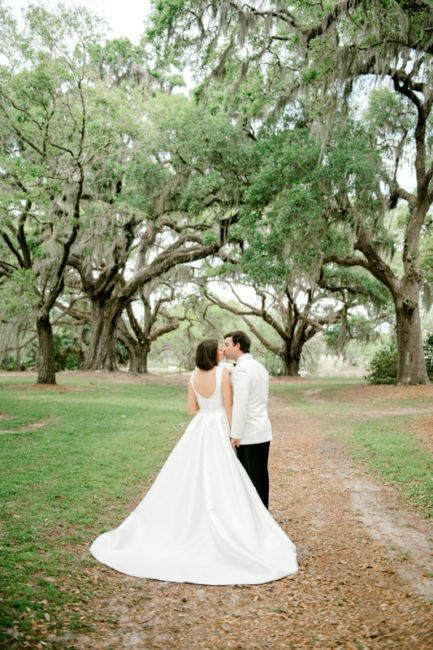 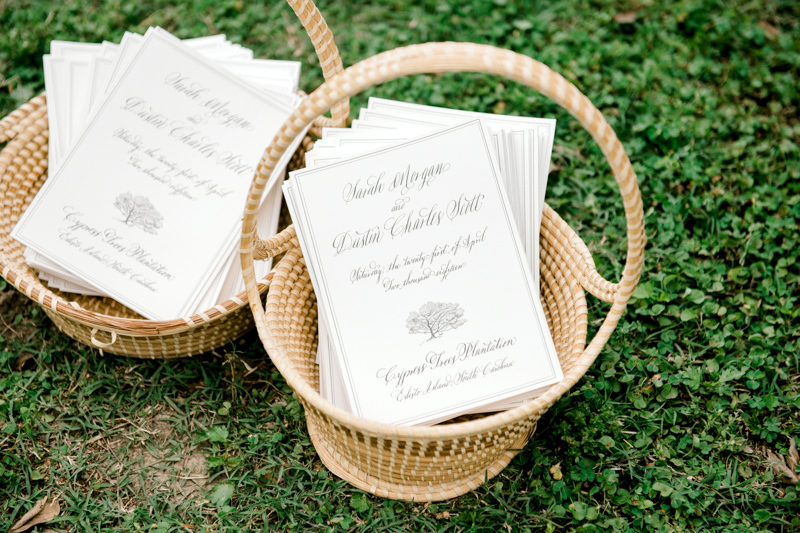 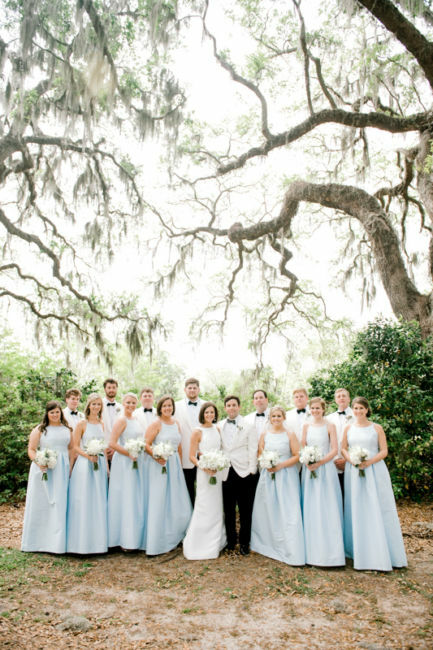 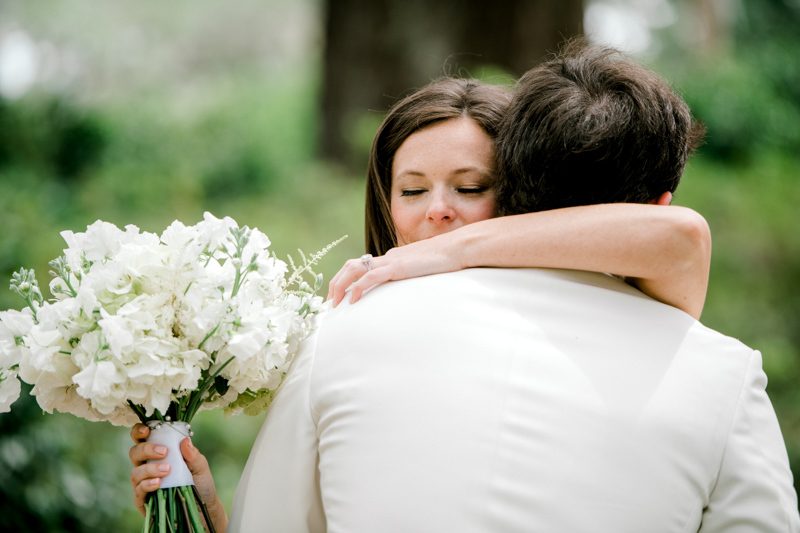 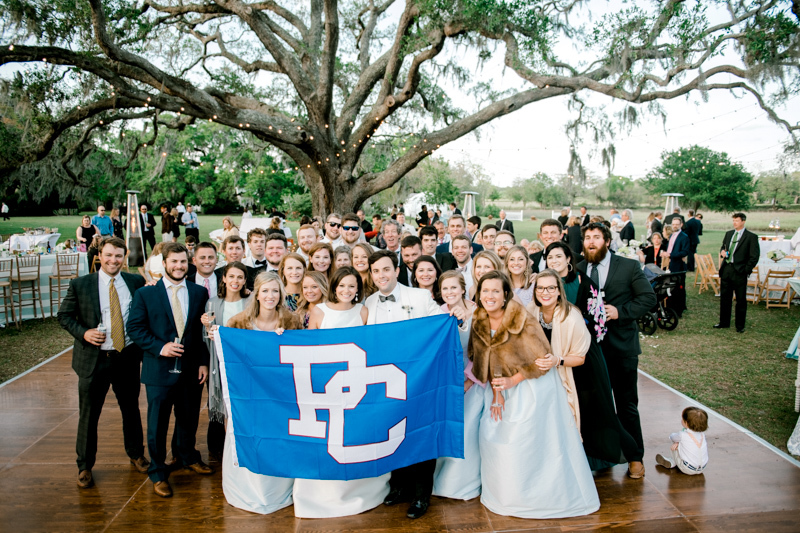 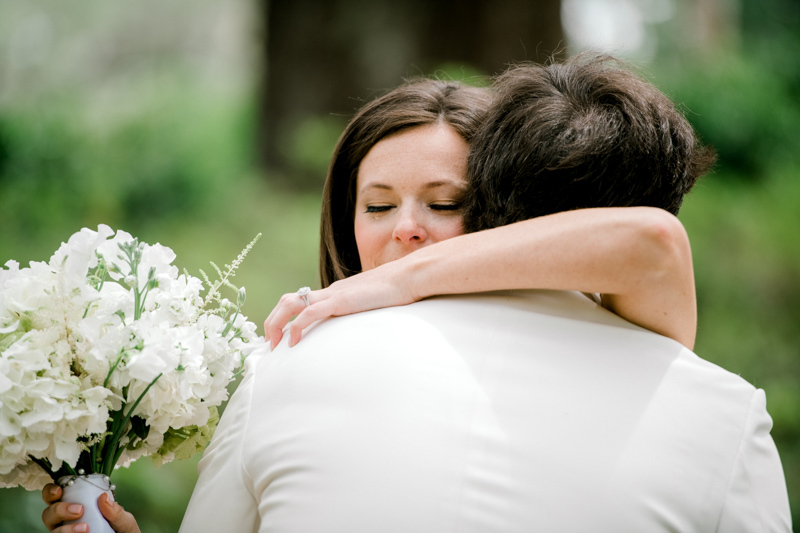 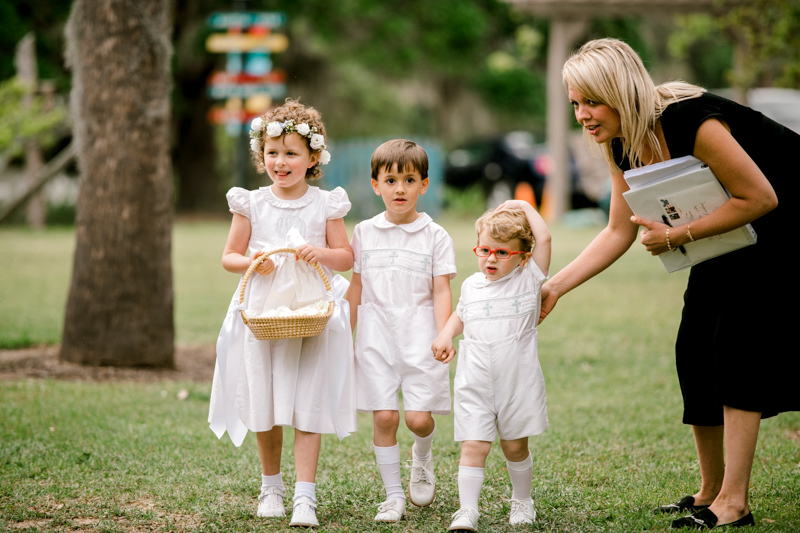 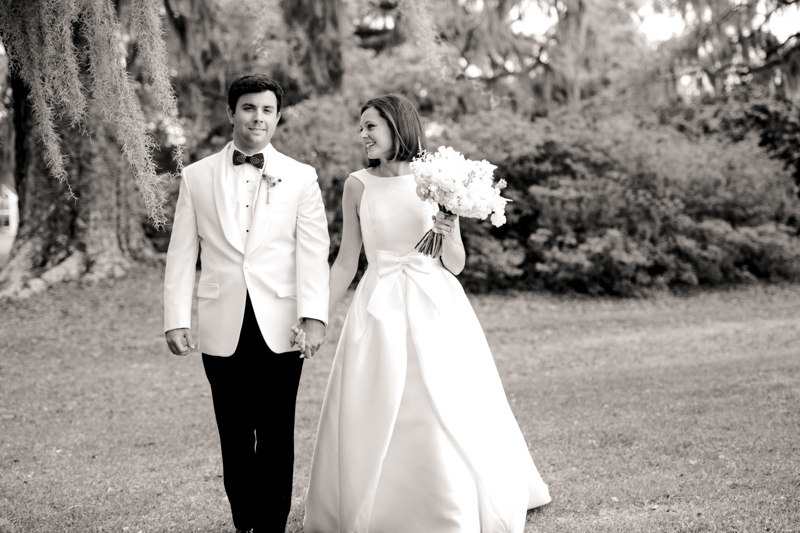 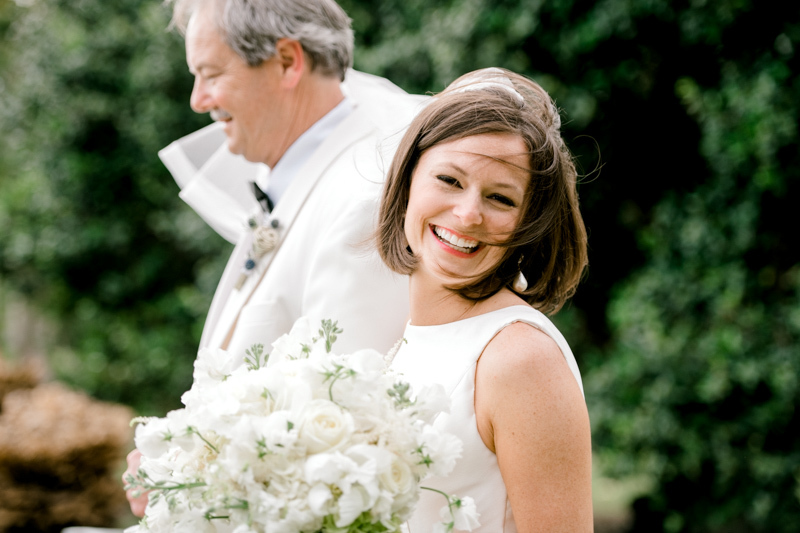 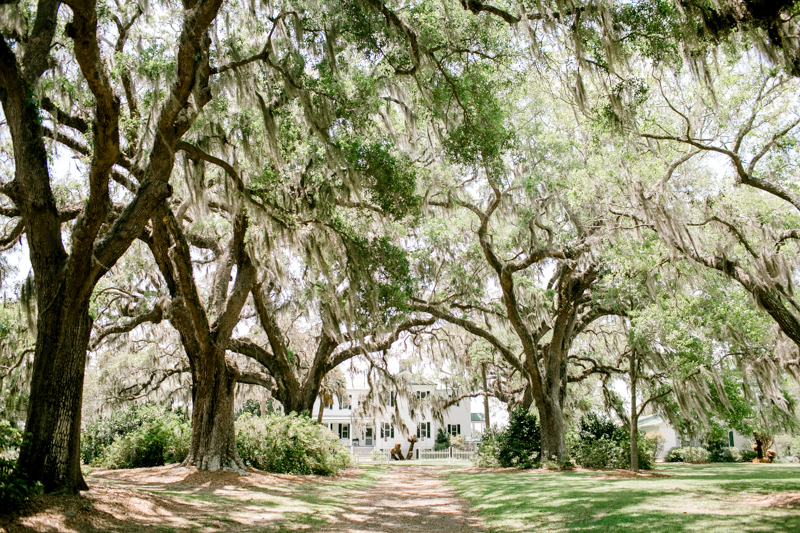 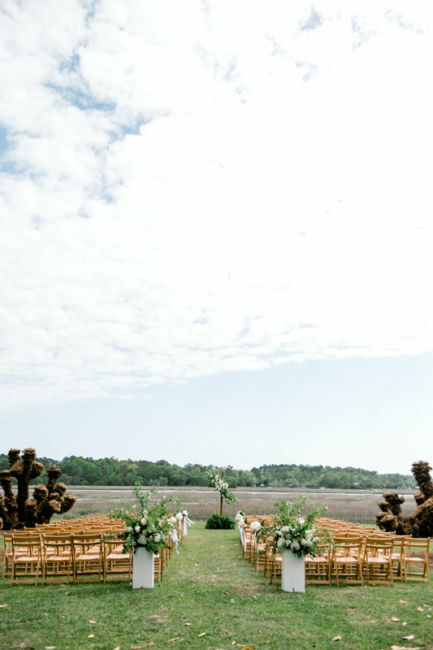 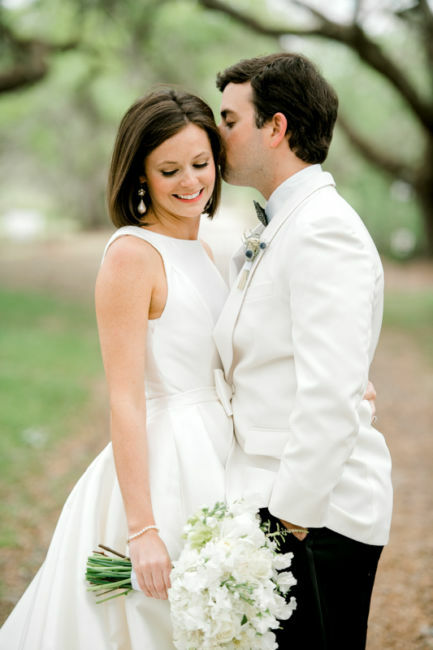 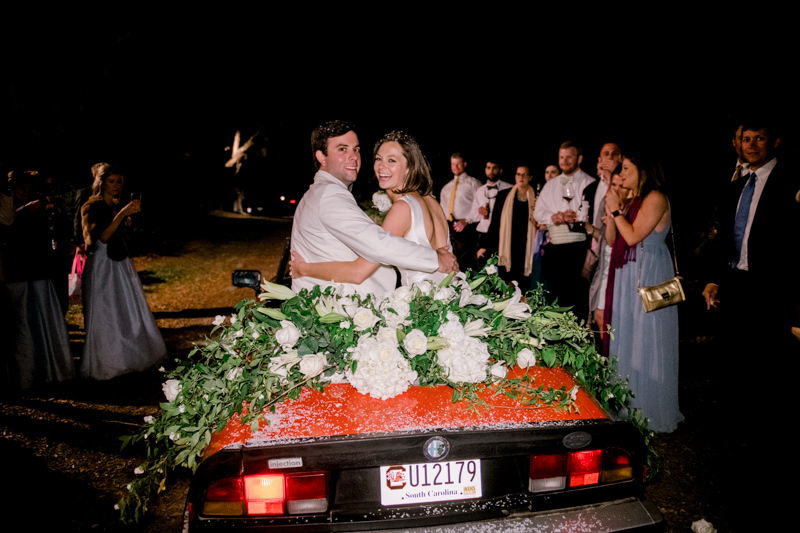 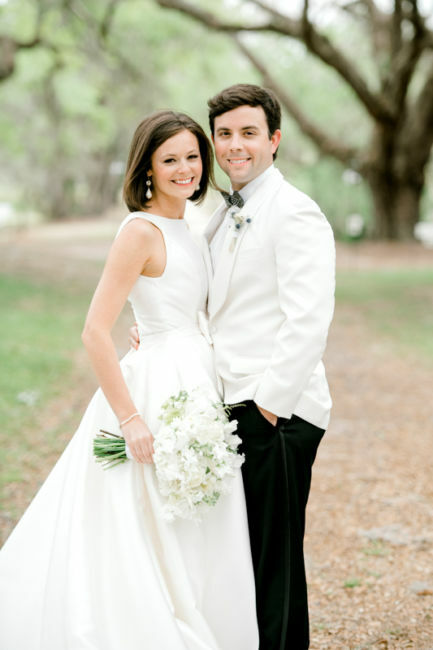 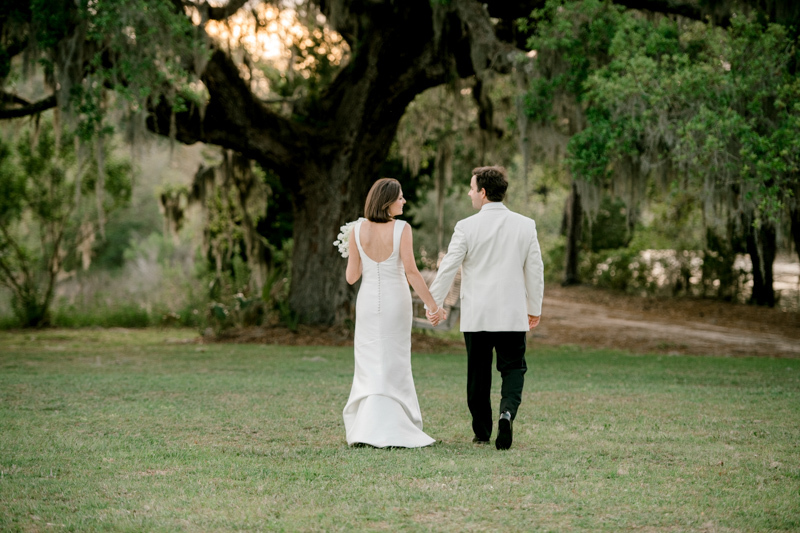 They were married on April 21, 2018, at Cypress Trees Plantation on Edisto Island. 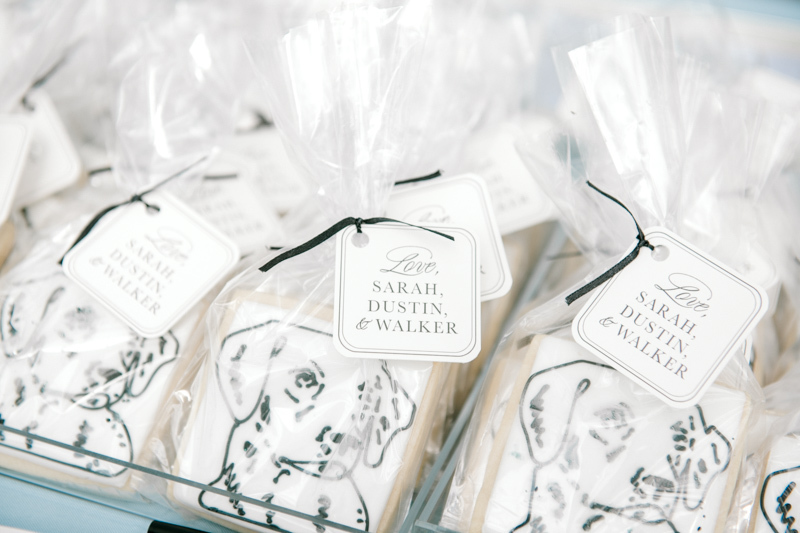 Sarah and Dustin were so excited to celebrate with all the people that have been with them every step of the way! 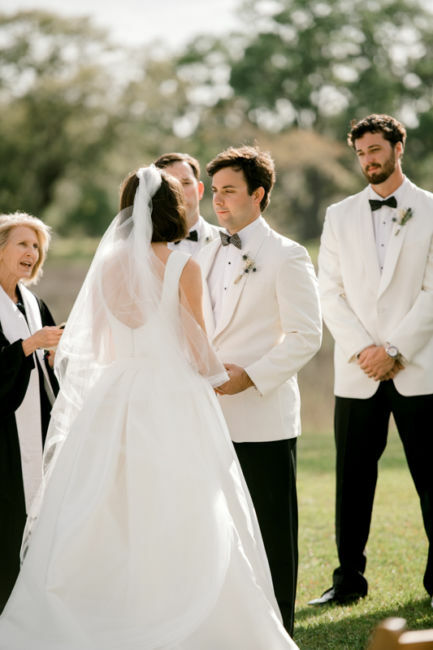 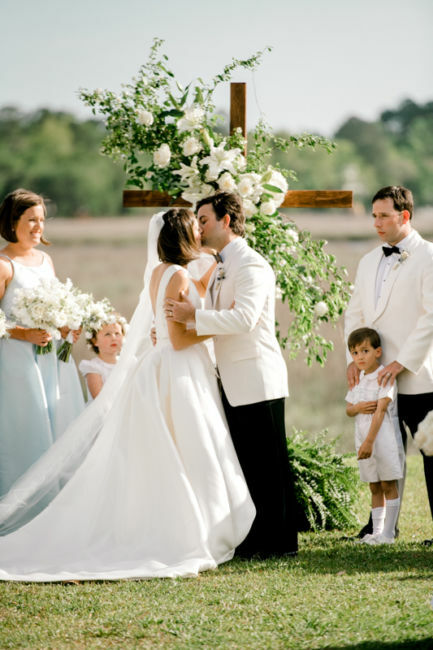 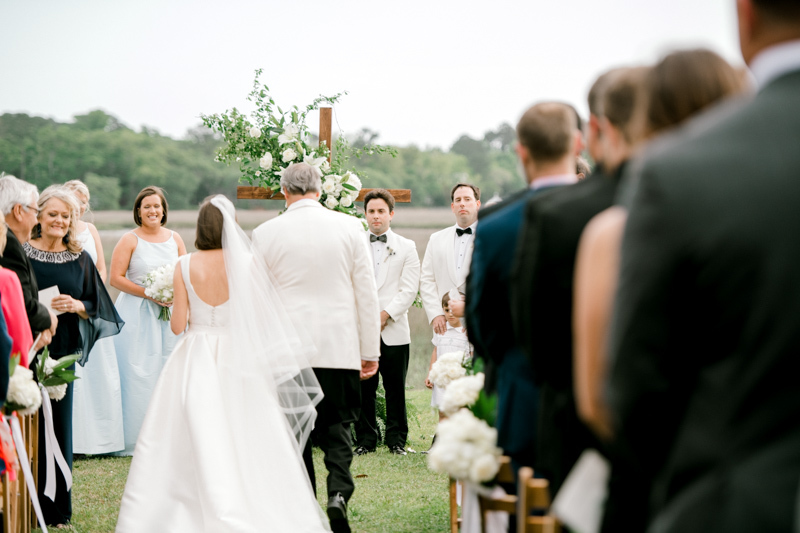 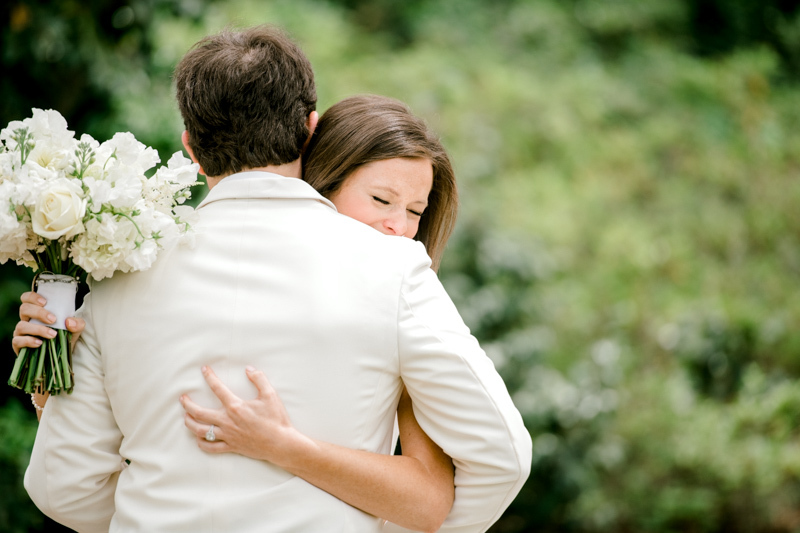 The ceremony reflected their love for each other and God’s love for them. 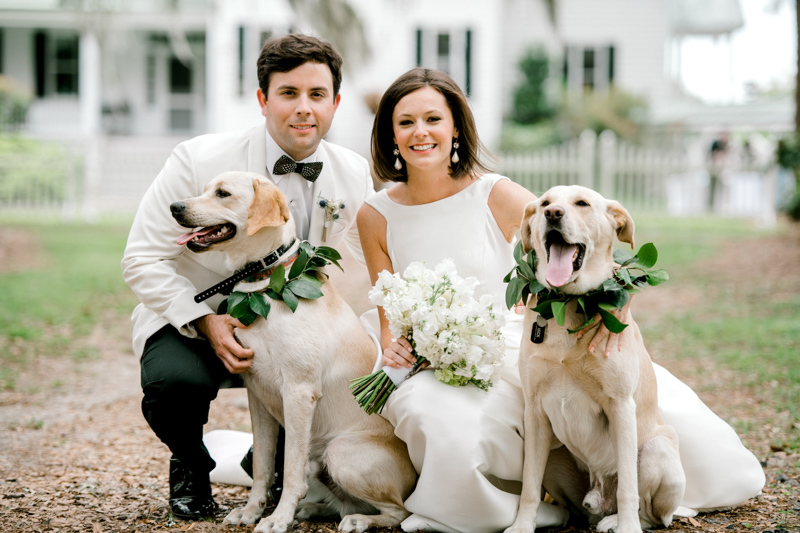 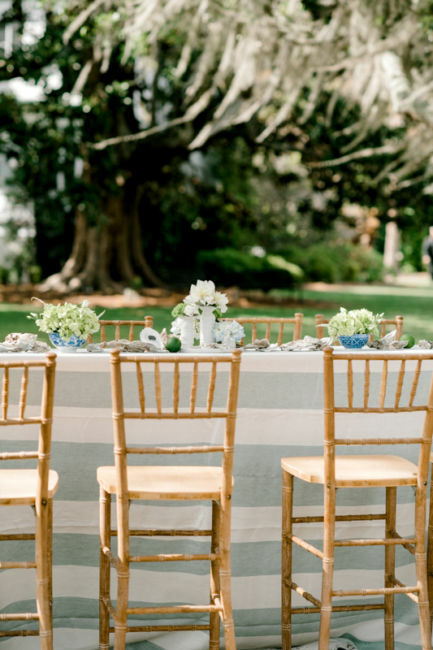 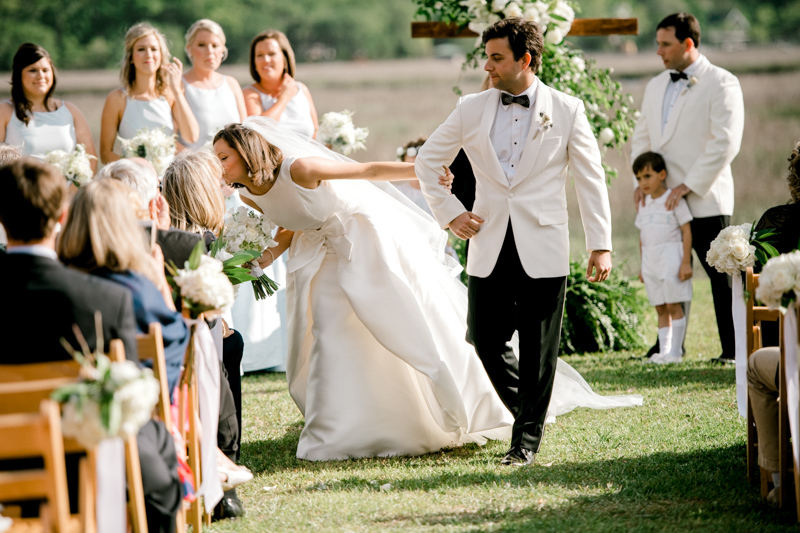 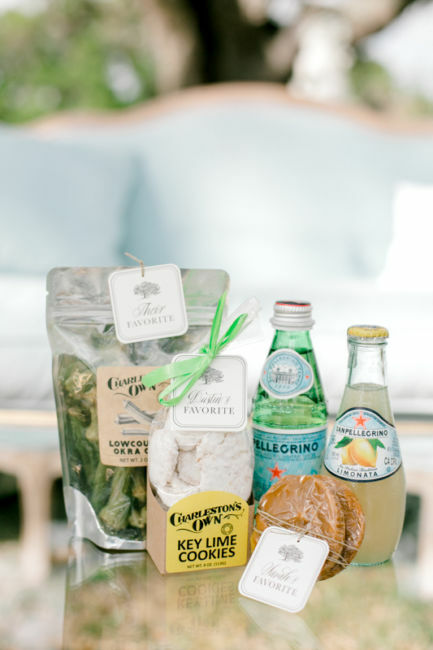 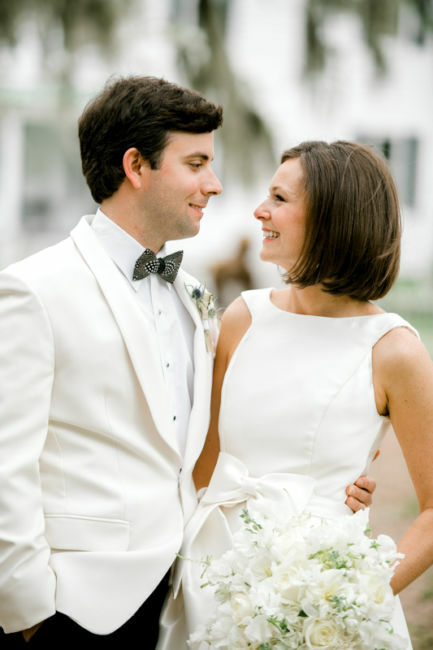 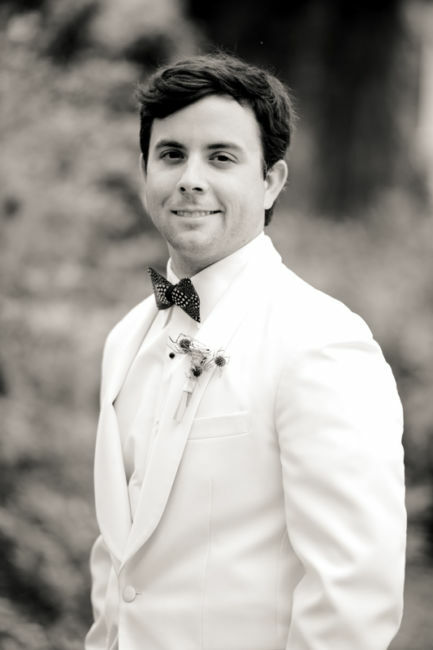 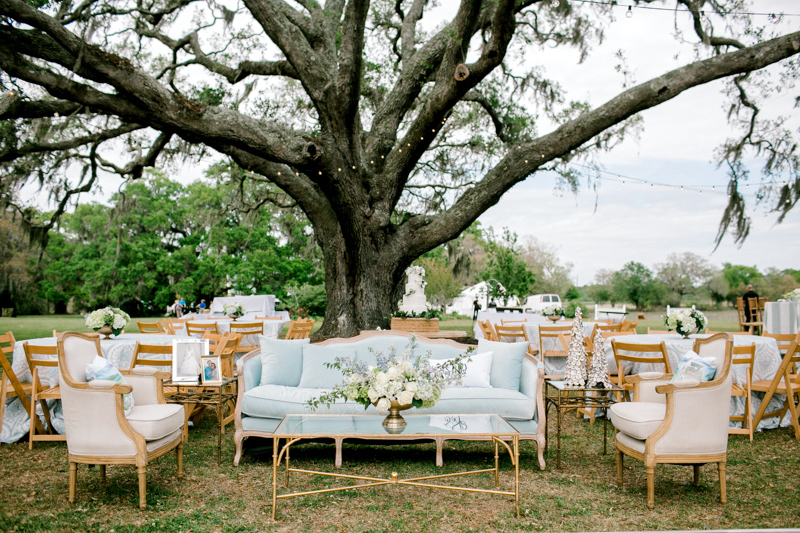 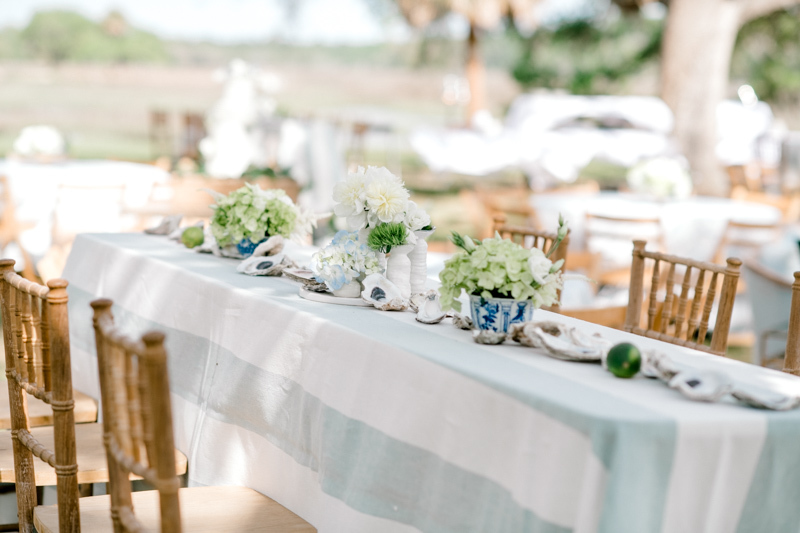 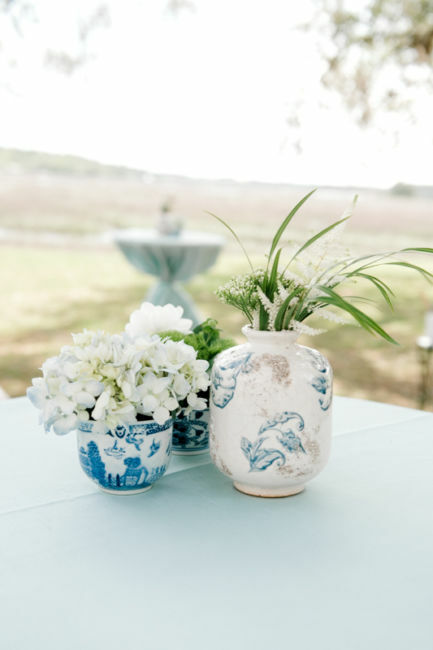 Wedding planner Meagan Warren made sure their wedding day went effortlessly – it was the perfect combination of southern and classic! 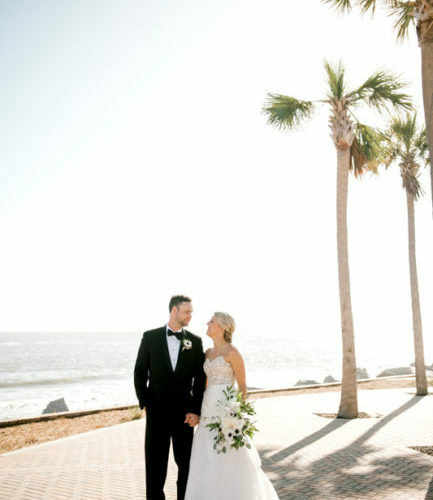 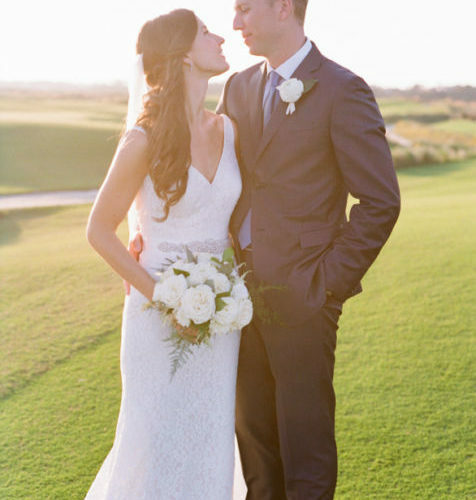 Sarah looked gorgeous in her Pronovias gown as she walked down the aisle. 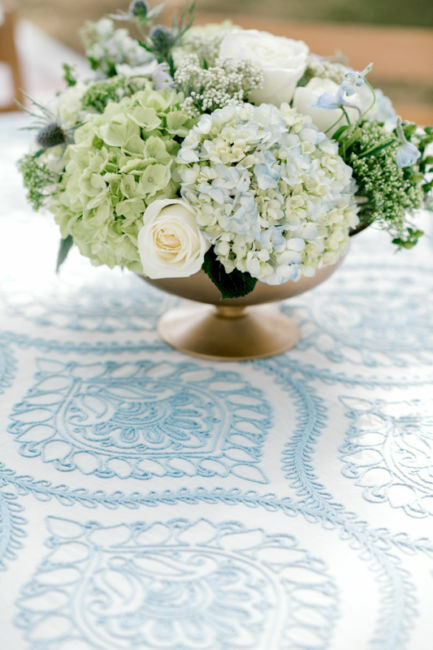 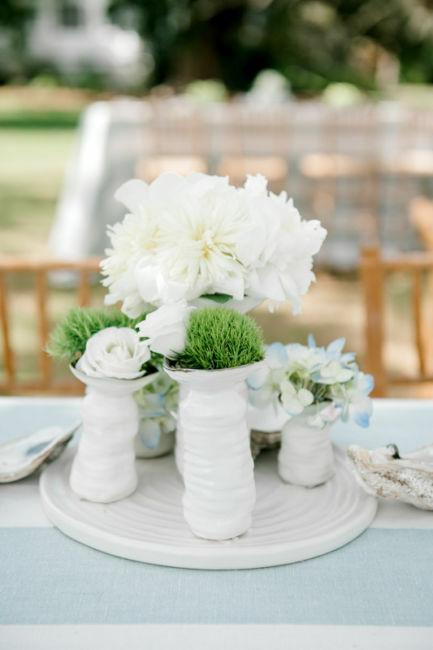 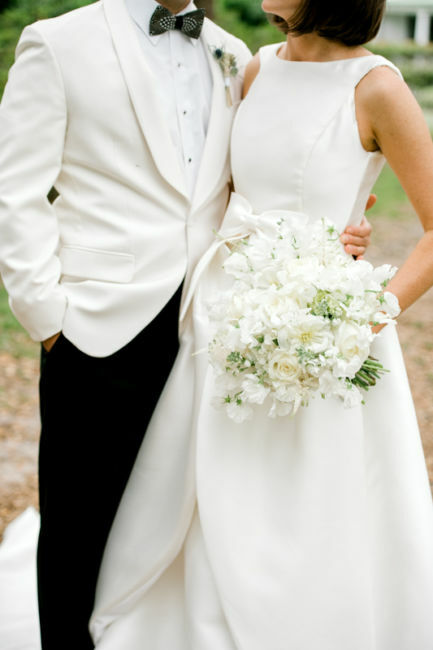 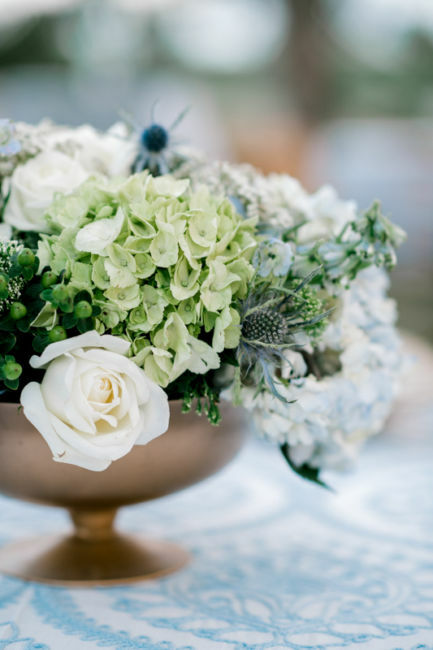 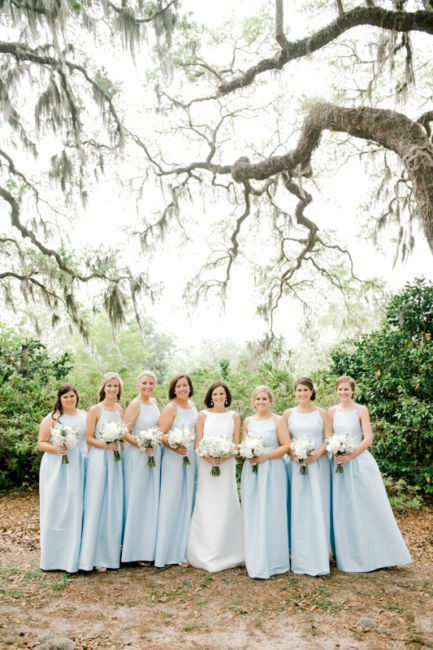 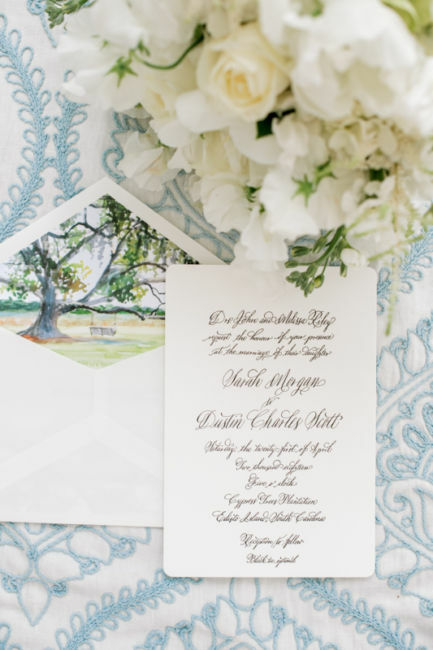 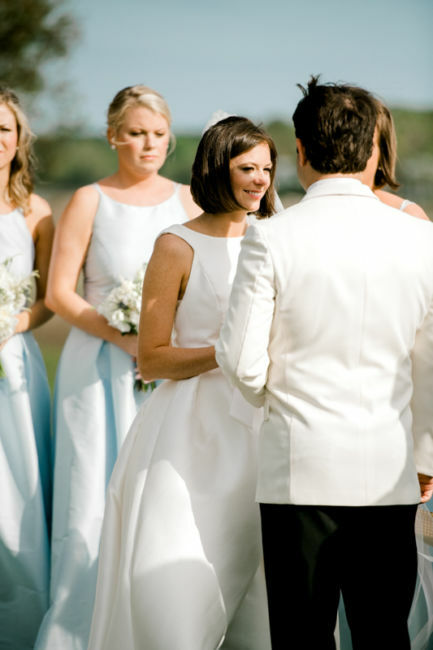 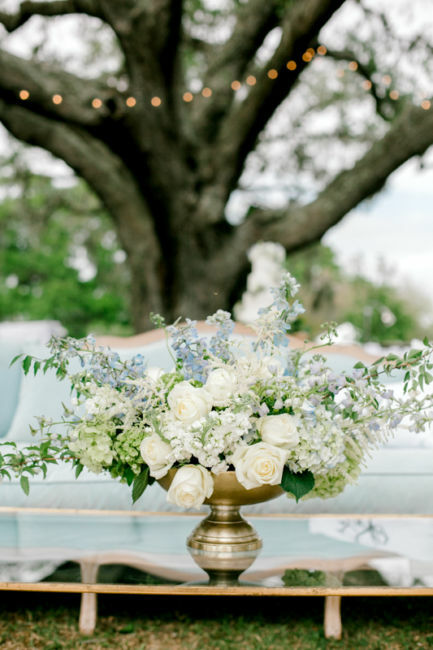 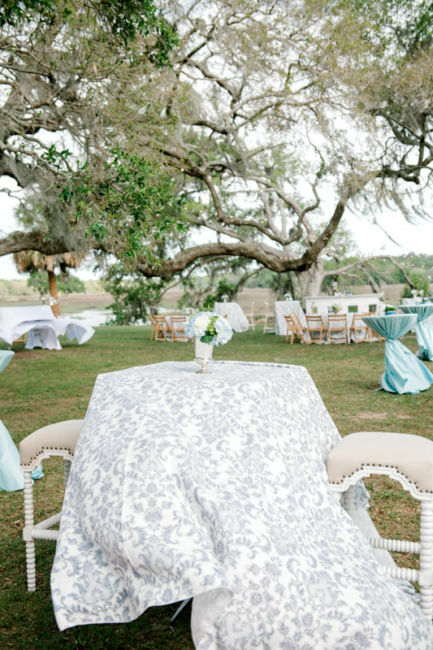 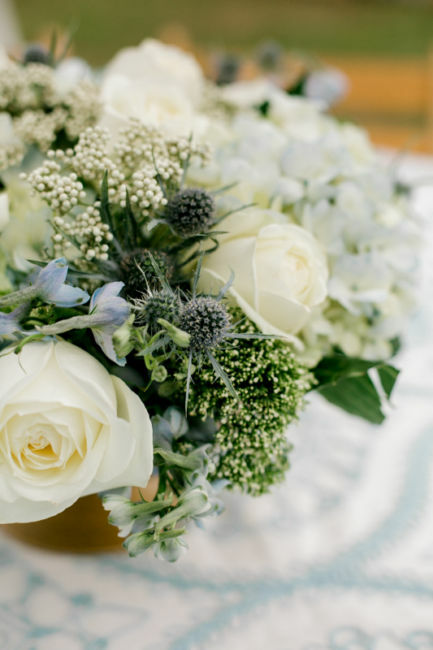 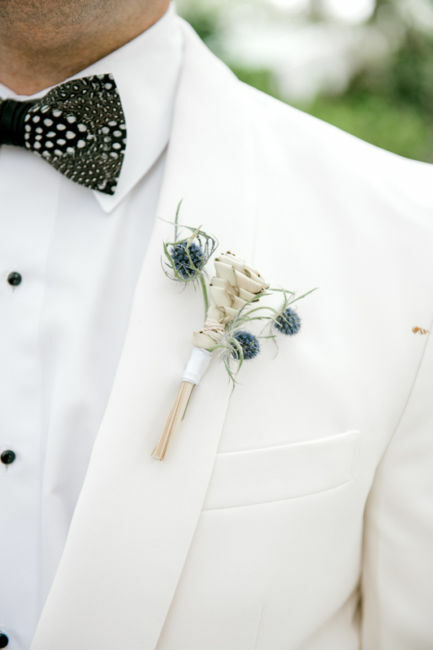 The white florals and light blue accents added a subtle pop of color. 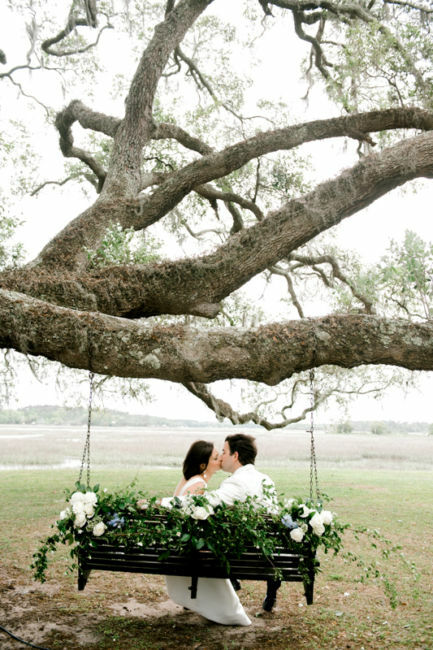 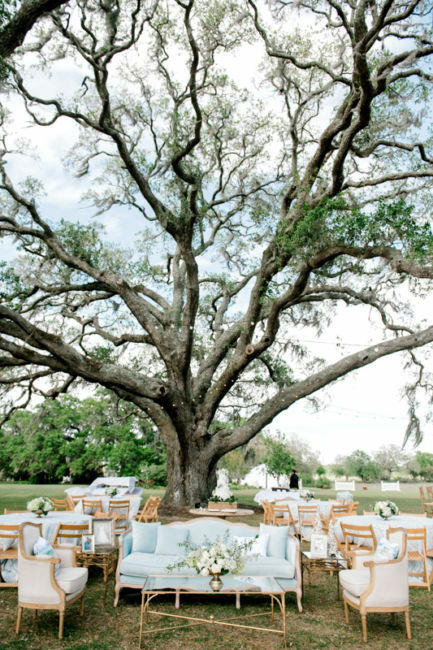 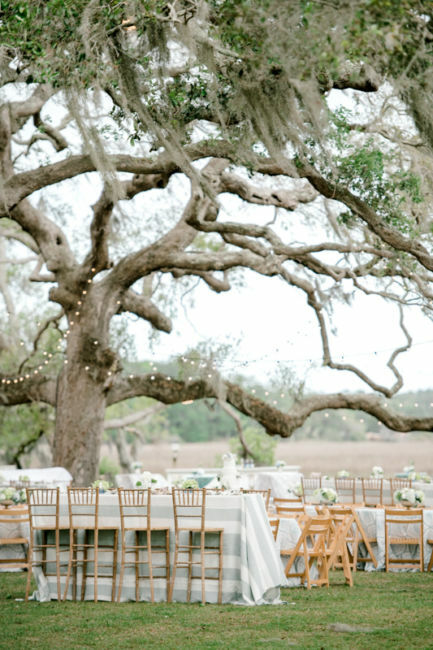 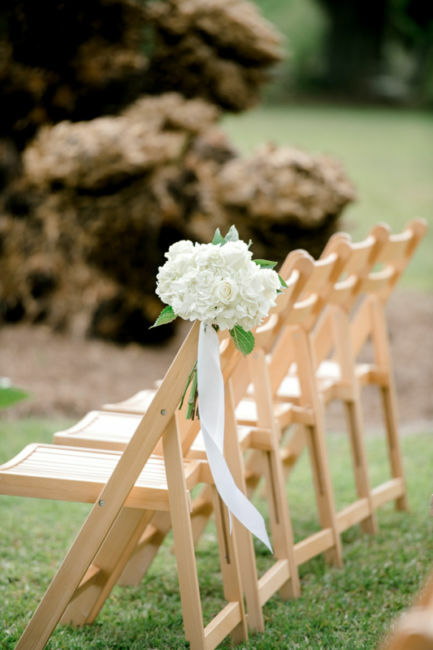 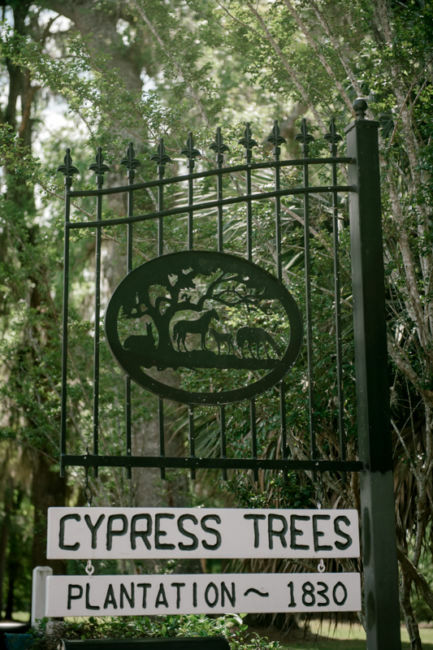 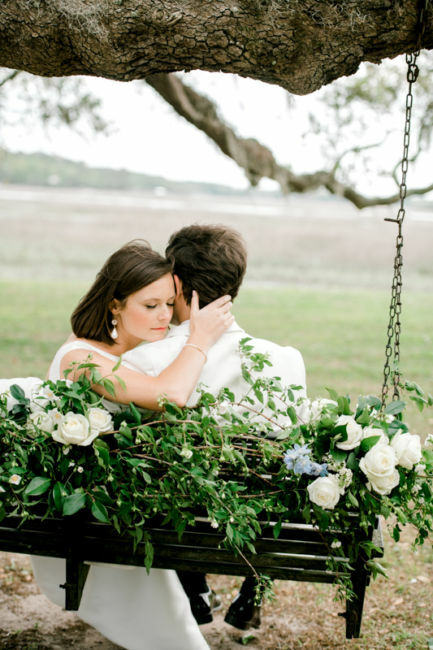 One of my favorite details of their wedding was the swing on Cypress Trees Plantation. 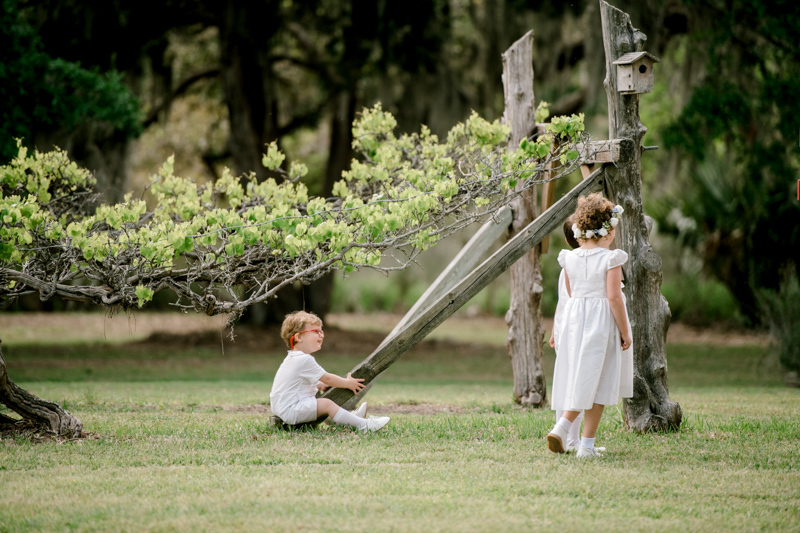 For her save the dates AND her envelope liner was a painting of this very swing commissioned by Sarah! 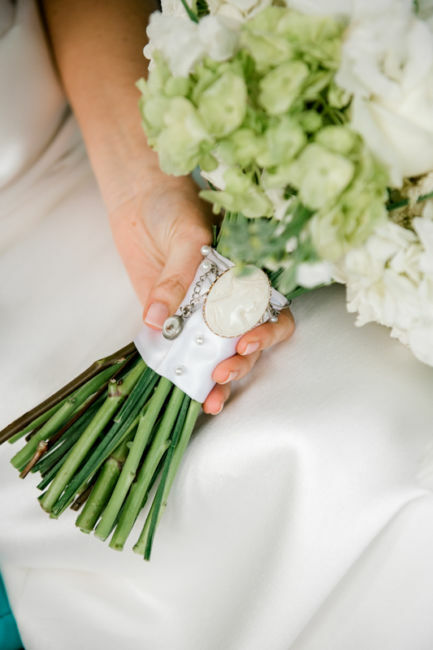 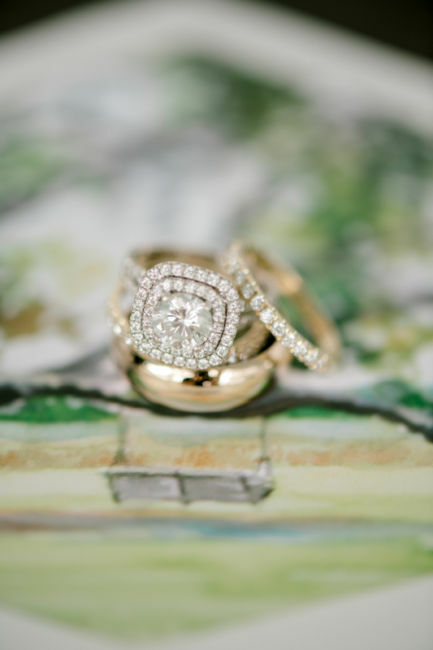 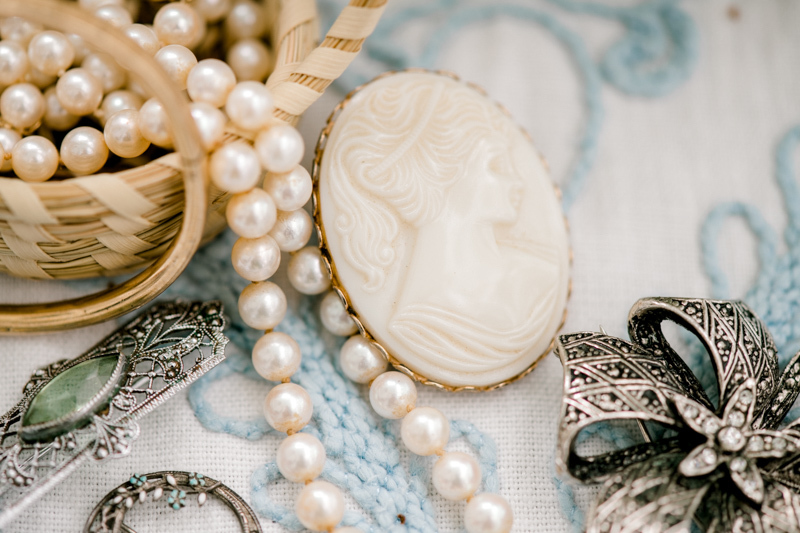 There were so many little things that she incorporated into her wedding day from her grandmothers and great-grandmothers, such as pins, pearls, and broaches. 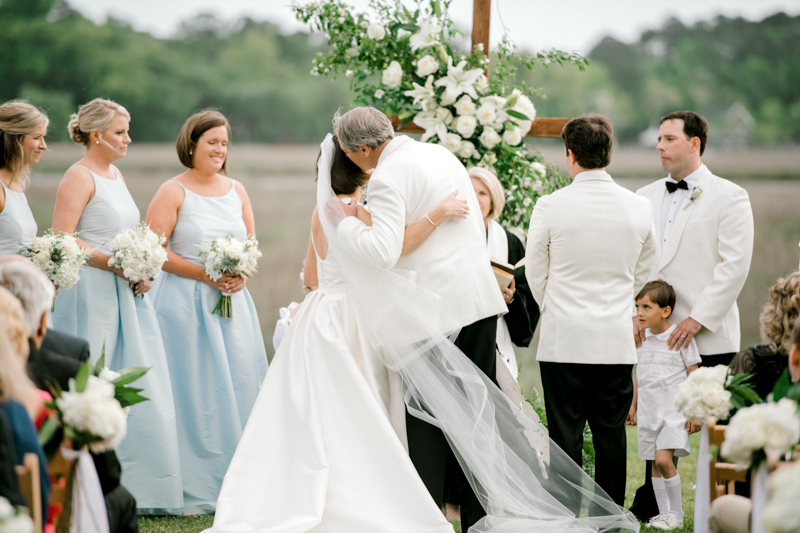 The day was beautiful and family and friends celebrated the newlyweds all night!